Compared to traditional advertising, digital advertising is so much more targeted, measurable and effective. 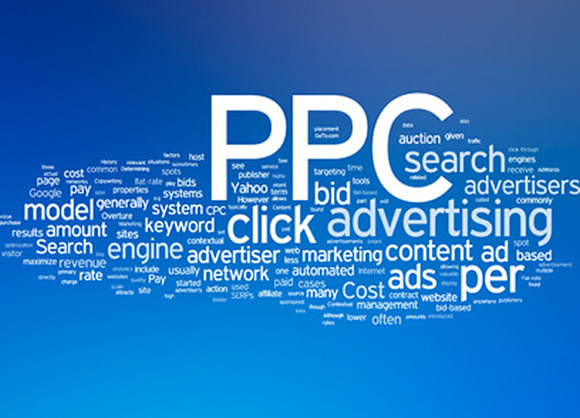 At the center of this digital magic is PPC or pay-per-click which is a pay for performance kind of keyword advertising in search engines like Google, Bing and Yahoo. If all these still sound too complex, just go to Google and do a search. Those yellow sponsored search results at the top are your PPC ads. Considering the advantages of digital vs traditional advertising, there are still ways to misuse or under-utilize your advertising dollar. Ever click on a link that brings you to a missing page or a page that is irrelevant to your search? Besides frustrating your potential customers, you are building broken funnels that are squandering your hard earned traffic. Yes those traffic numbers may look impressive but how do you connect that to your business goals? Even if you could sell them something when they first land on your page, the question you should ask yourself is how you can nurture those relationships into something a little more long-term that will ultimately help you amplify your marketing and promote word-of-mouth publicity. OK, this is more of an hygiene action but do check all your pages to make sure that you don’t see those dreaded error 404s. A page not found error message is not the best first impression to say the least. Build a super specific page that addresses the need of your searchers. If they search specifically for something, that shows strong intent and you will earn easy brownie points for serving up those information as quickly, and as directly as possible. Anything else may be misconstrued as link baits and that will cause your bounce rate to climb and your relevance to drop. Google watches for relevance and they reward sites containing relevant content with high search rankings. You want quality leads, so you may want to attract people with strong intent. As described above, nothing shows intent as clearly as typing in specific keywords and searching for them. It is not as serendipitous as discovery which is what you will get with contextual advertising. Contextual advertising has its place but if you are running on a tight budget, you really want to focus more on people that are more likely to buy your products. So the advise here is to prioritize; opt out of non search traffic and do not participate in contextual advertising programs on publishers’ sites. This may sound counterintuitive but try not to sell too soon. Instead offer quality and valuable resources like how-tos, tutorials, e-books, mini-courses that are related to your products and services that you are trying to sell. This is called content marketing and is highly effective in educating your potential customers by providing value and building trust and thought leadership at the same time. Some may buy immediately, which is great, but for those who are still evaluating, guess who they will get back to when they finally made up their minds? I bet it would be someone that has gained their trust and offer long-term value. Always give quality offer. Be it an e-book or a webinar, do not give away something that is of sub-standard quality just because it is free. Remember, your goal here is to provide value and to gain trust. Low quality bait and switch offers are not synonymous with that ideal. And this is key; always indicate the actual value of your free offer. They cost you something particularly if it is quality content like webinars and tutorials. Indicate its actual price so that people understand the value that they are getting. Extend your relationship. Make it an enticing offer by providing value not just once but on an on-going basis. In exchange, you will acquire their contact information. You are now set to engage them for a longer term and that increases your chance of selling them more products and developing them into advocates and influencers for your brand. These tactics are not new and are definitely not rocket science but it is amazing how businesses are still not optimizing their advertising dollars and wasting them by sending targeted traffic to a page that is overly vague and provide no real value that would have resulted in real long-term relationships. Unless you are Apple, I doubt people will automatically open up their wallets to you. So take some time and effort to follow these steps to ensure that you get the most bang for your buck.